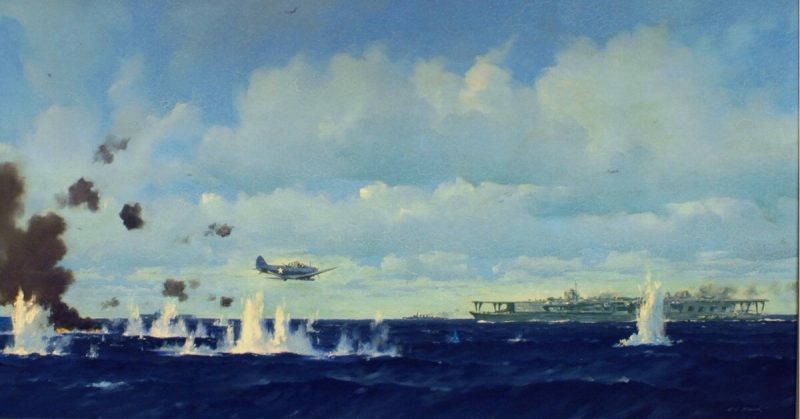 In this painting, a U.S. Navy Douglas TBD-1 Devastator torpedo plane making an attack against a Japanese aircraft carrier at the Battle of Midway, 4 June 1942. On June 4, 1942, Japan again attacked the Hawaii Archipelago; this time the Midway Atoll. However, due to a code-breaker who deciphered the Japanese plans, the Americans were waiting for them turning the tide of the war in the Allies favor. Joseph John Rochefort was born on May 12, 1900, in Dayton, Ohio. In 1917, he quit high school and enlisted in the Navy the following year when he turned 18. He graduated from the Stevens Institute of Technology, New Jersey, and was commissioned as an ensign working as the engineering officer on board a tanker. After further training at the Mare Island Naval Shipyard, he became a “Mustang” – a US Navy officer who had not attended the Naval Academy at Annapolis, Maryland. 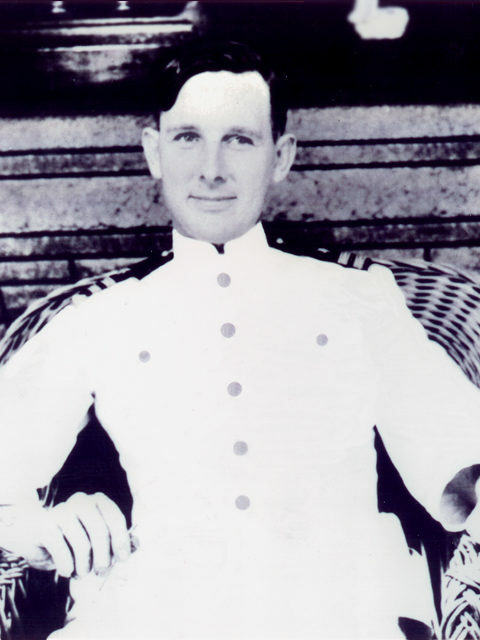 In December 1924 Rochefort was the assistant engineering officer on the USS Arizona where his fellow officers noticed his skills in card games and puzzle solving. His superiors, therefore, recommended him for the intelligence services in Washington, DC. Assigned to the Office of the Chief of Naval Intelligence’s cryptoanalysis section, he was second in command of it by February 1926. In September 1927, Rochefort was the executive officer and navigator for the USS MacDonough where he got in trouble because he was not impressed with how they handled sensitive communication codes. Rochefort advised Washington in an official report – earning himself enemies in high places. From September 1929 he was in Japan for three years learning the language. Back in the US in October 1932, he spent the next nine years assigned to various destroyers as a cryptologist or on intelligence-related assignments. In early 1941, the US was on high alert because of Japan. 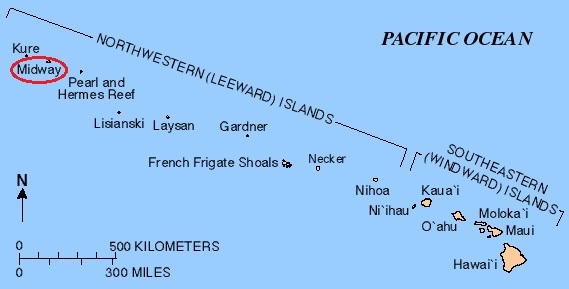 Rochefort was in charge of Station HYPO (Hawaii). Due to the surge in Japanese coded messages, Rochefort spent hours in the decryption room dressed in a bathrobe and slippers. He went for days without bathing and earned himself a reputation as an eccentric. Nor was he strict about protocol with his team, insisting they call him by his first name. Unfortunately, despite their best efforts, no one (including Rochefort) believed that Pearl Harbor would be Japan’s target when they attacked in December of that year. After the assault, his team was tasked with deciphering the Flag Officers Code – the Japanese Navy’s most difficult cipher system. Rochefort had the ability to take vast amounts of decoded data and almost intuitively see the bigger picture. Even more amazingly, he had an uncanny ability to predict what the Japanese would do next. He proved it on April 27, 1942, when his team decrypted Japanese coded messages asking for navigational charts of the Aleutian Islands (off Alaska). Days later, more decoded messages revealed the Japanese had requested charts of the Hawaiian Islands. The Aleutians were a given, but which of the Hawaiian Islands was next? In May, Rochefort predicted it would be the Midway Atoll. Everyone else was skeptical, but Fleet Admiral Chester William Nimitz (Commander in Chief of the US Pacific Fleet) supported Rochefort. With the pressure on, Rochefort set a trap. Midway’s base sent an emergency radio message complaining that their water filtration system had broken down. Sure enough, Japanese coded messages began pouring in ordering their fleet to take ample water supplies to Midway – proving Rochefort’s prediction was correct. Midway base’s water filtration systems were working fine. On June 4, 1942, the Japanese fleet sailed toward Midway and towards the waiting US forces. Before the Battle of Midway, Japan seemed unstoppable. By June 7, they had lost four carriers, one heavy cruiser (with another damaged), and 248 planes. The US lost one carrier and one destroyer, as well as 150 planes. 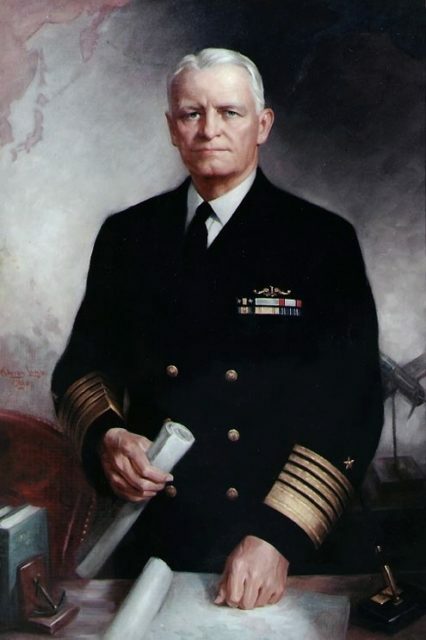 Fleet Admiral Chester W. Nimitz. According to military historian John Keegan, the Battle of Midway was “the most stunning and decisive blow in the history of naval warfare.” From that point on, the tide of war turned against Japan. Marshal Admiral Isoroku Yamamoto knew it, too. The architect of the Pearl Harbor attack, he prophetically said, “I shall run wild considerably for the first six months or a year, but I have utterly no confidence for the second and third years.” He was right; the Battle of Midway happened six months after Pearl Harbor. 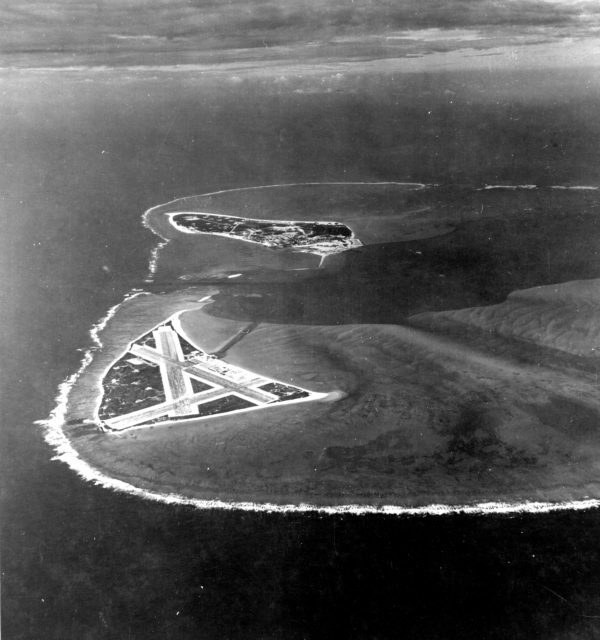 Midway Atoll before the Battle. Station HYPO kept up a steady stream of accurate and timely intel on Japan, further ensuring Allied victory in the Pacific. Nimitz was so pleased he recommended Rochefort for a Distinguished Service Medal. Unfortunately, Rochefort’s enemies in Washington said no. When the war ended, he received a Legion of Merit for his service with no mention of his decryption work. Nimitz again tried to get Rochefort the recognition he deserved in 1958, to no avail. The codebreaker died on July 29, 1976, but his former subordinates refused to give up. Due to them, he was posthumously awarded the Navy Distinguished Service Medal in 1986 and the Presidential Medal of Freedom in 2000.